I always wanted to do something good for humanity but I never knew what that would be and when am going to do it. Until one Sunday morning while browsing the internet for new fabrics to hoard I ended up in a site that dresses girls around the world. It started with just me and my sewing machine, a few fat quarters from my collection and a desire to learn how to make a pillowcase dress so I can send a couple to share with the less fortunate girls in Belize. 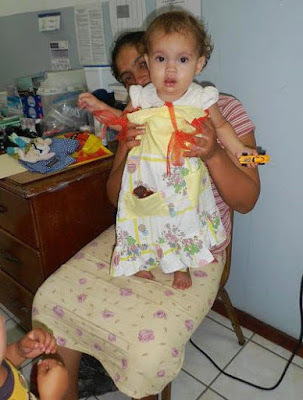 My very first dress I made for a little girl in Belize. She must be about 9 years old today and I hope she is doing well. Click on the image to read the story about the dress. Ten months later it has grown into a community of sewing enthusiasts who wants to share their skills and their passion for sewing. It has attracted individuals who have never sewn a dress before and for some don’t even own a sewing machine but are very eager to learn to make dresses for the children around the world who needs it. 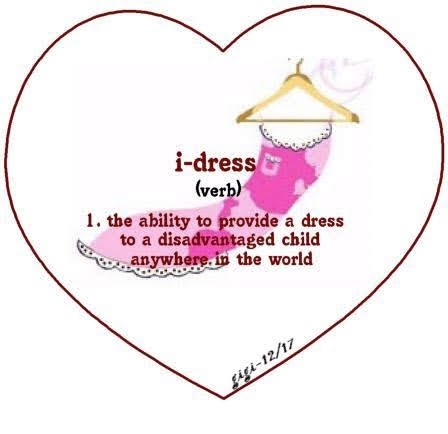 A growing community who like me imagines a world where every girl owned at least one dress for every girl deserves to own one . A crafting community who wants to make a difference in this world one dress at a time and make this world a better place. Some donors have moved on and new ones are still inclined to join. After 8 years today (today was the very first day I made a dress) I am still sharing whatever I have and whenever I can to disadvantaged children in the world. Happy Anniversary to Dress A Girl Australia and after 10,018 dresses, 1,129 t-shirts and 1,946 pairs of shorts, 149 quilts, 91 school totes, boxes of school supplies, a Dress A Girl Well in Kalagi Uganda and almost 4 clean water tanks for the people of Vinh Long Province of Cambodia, I hope I will always have the strength and discipline to keep on growing and making a difference in this world especially to disadvantaged children. Thank you to all who have joined me in this wonderful journey. Much appreciated.